Institute of Communication Studies, University of the Punjab, Lahore. Pakistan. The international conference of Institute of Communication (ICS) Punjab University, will have number of prestigious Keynote Speakers coming from different parts of the world. They will speak about their experiences and will highlight the three days conference, “FREEDOM OF EXPRESSION: GLOCAL POLITICS OF EMOTIONS” through their intellectual perspective. 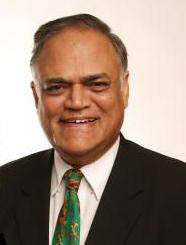 Dr. Mohammad Ahmadullah Siddiqi is professor and director of Journalism Program at Western Illinois University. He has also served as Chair of the Department of English and Journalism and has been honored with numerous awards for excellence in teaching and outstanding research contributions. Dr. Christians Clifford is the former director of the Institute of Communications Research and Chair of the doctoral program in communications. He has been a visiting scholar in philosophical ethics at Princeton University, a research fellow in social ethics and also a visiting scholar at the University of Chicago, and a PEW fellow in ethics at Oxford University. Dr. Elisabeth Eide is a Norwegian media researcher and author. She is professor of journalism at Oslo and Akershus University College of Applied Sciences, and has previously worked as adjunct professor at the Universities of Bergen and Oslo. With a PhD in Communication Sciences from the University of São Paulo (USP) and Masters in Literary Studies from the Federal University of Minas Gerais (UFMG), Dr. Fernando Resende is a Professor of Media Studies in the Graduate Program in Communication, Department of Media and Cultural Studies at the Fluminense Federal University, Brazil. Ms. Yvonne Ridley is a British journalist, war correspondent and Respect Party activist best known for her capture by the Taliban and subsequent conversion to Islam after release, her outspoken opposition to Zionism, and her criticism of Western media portrayals of the War on Terror. Mr. Javed Jabbar has diverse interests in mass media, international and national affairs, environment, voluntary development work, social and cultural issues. In 2015, he was invited as a former Senator to become a Member of the Senate Forum on Policy Research. He was elected to the Senate of Pakistan, 1985-1991, and has served as a Minister in three Federal Cabinets. 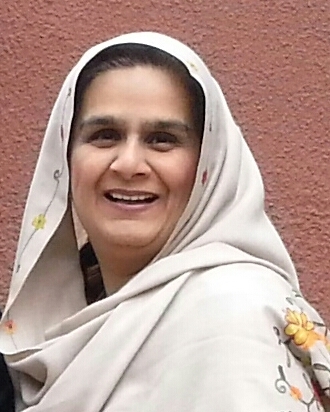 Dr. Bushra H. Rahman is an Assistant Professor at Institute of Communication Studies, University of the Punjab, Lahore. She is the Editor of Journal of Media studies and vice president of Islam and Media Group IAMCR. Ayesha Leghari studied for her PhD from the Department of Arabic and Islamic Studies, University of Melbourne. She is an educationist with a couple of Masters in the area of Educational Psychology and Special Education. She has been delivering lectures on Educational Psychology, Islamic Philosophy of Education, Iqbal’s Philosophy, and Ibn al Arabi’s teachings at International Islamic University, Cambridge University, Melbourne University and the Comparative Religions Group of The Asian Study Group, Islamabad.